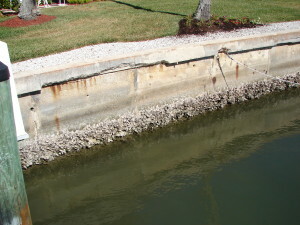 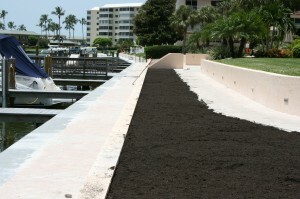 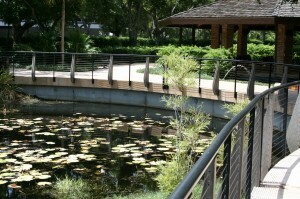 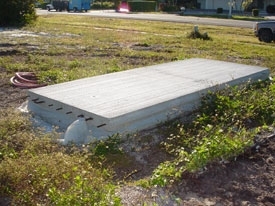 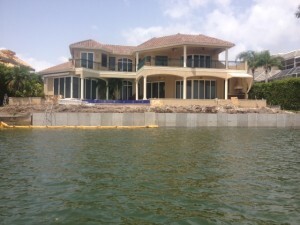 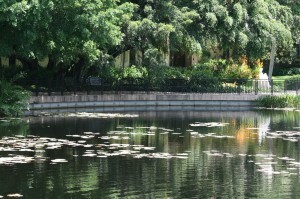 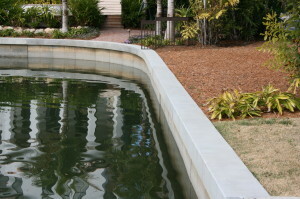 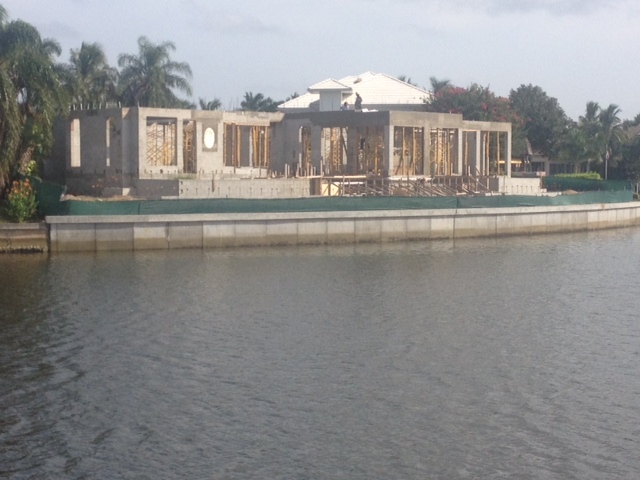 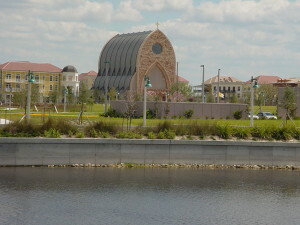 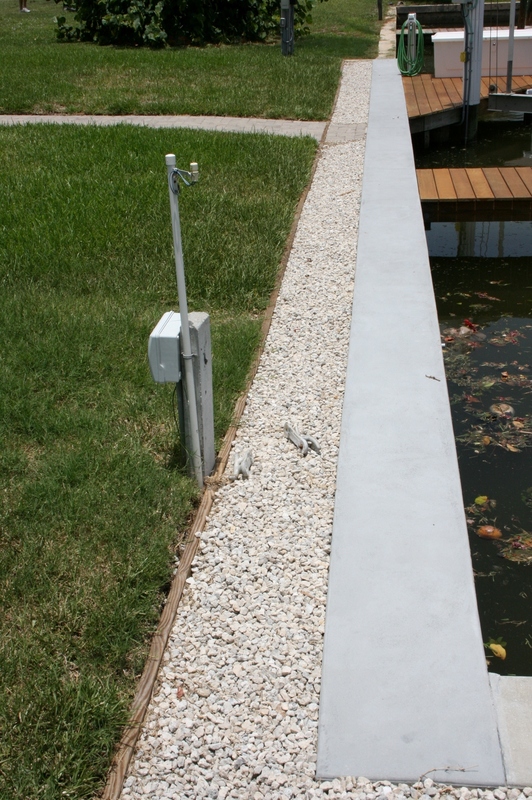 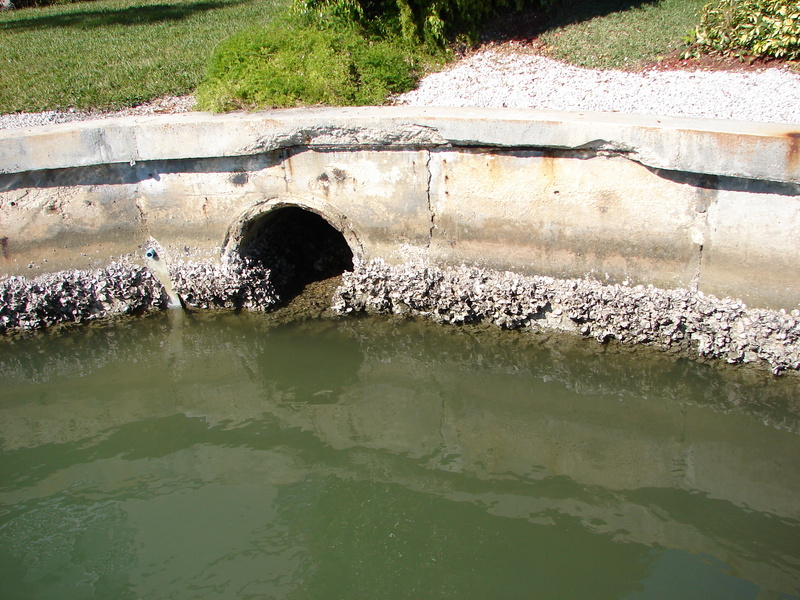 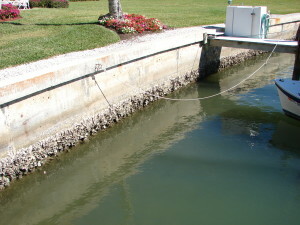 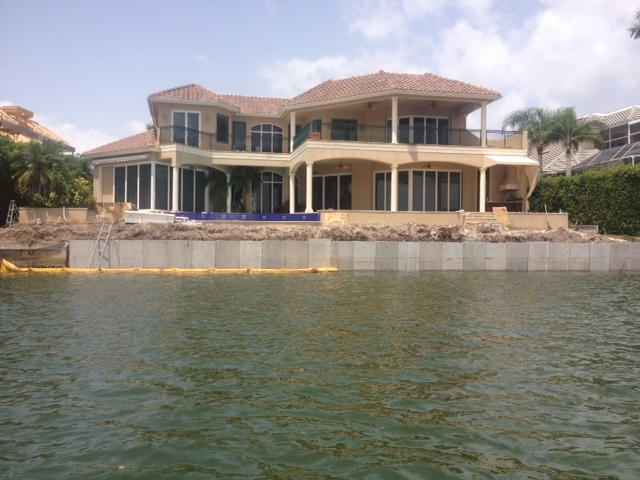 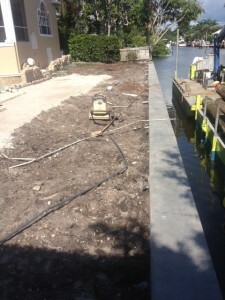 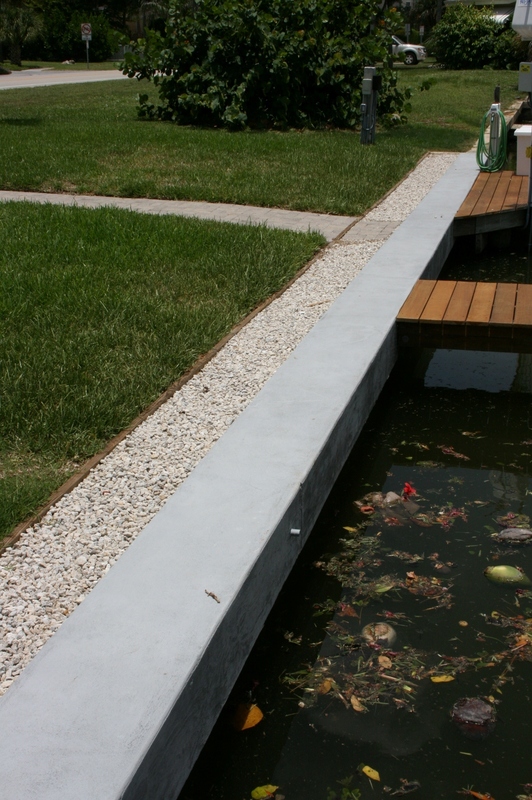 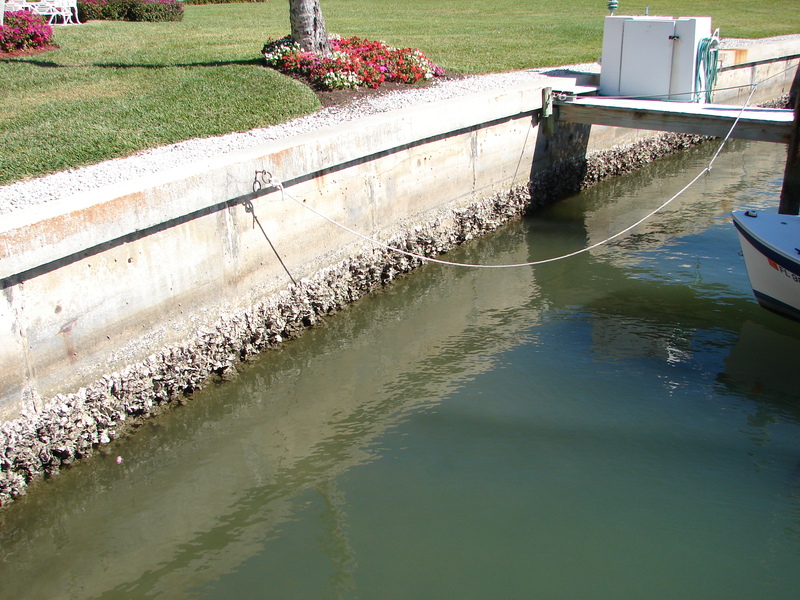 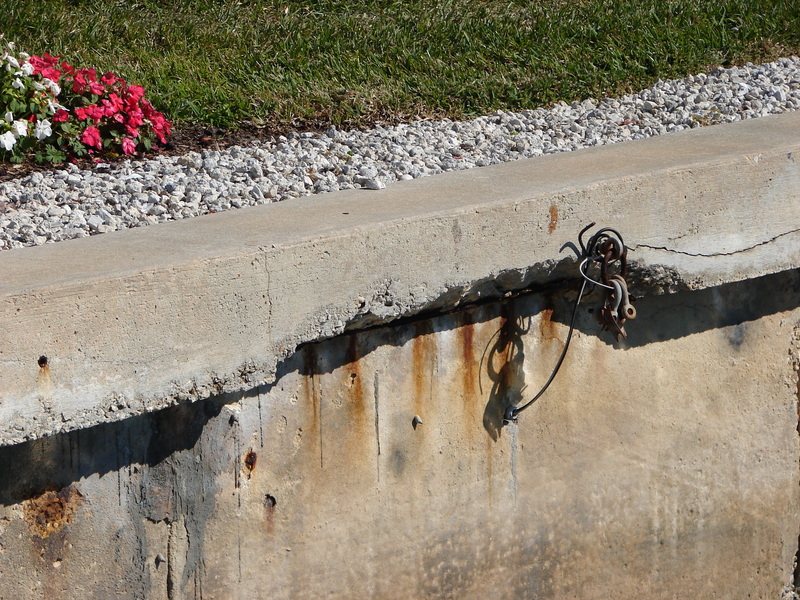 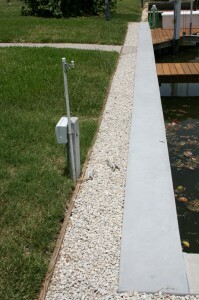 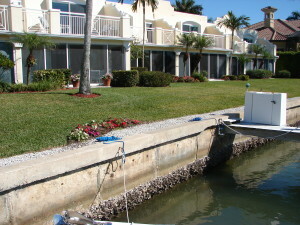 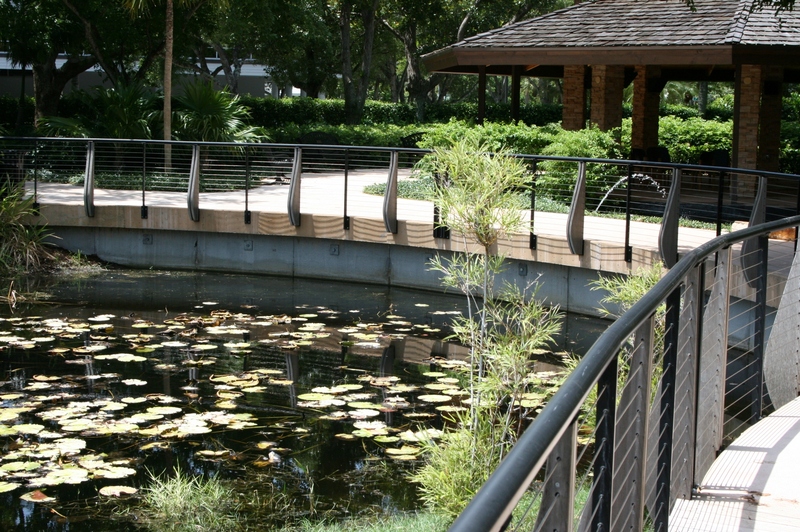 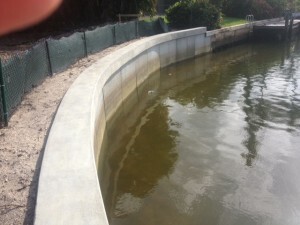 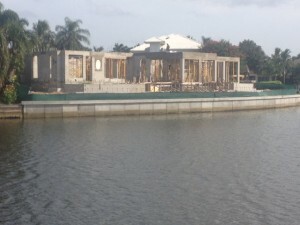 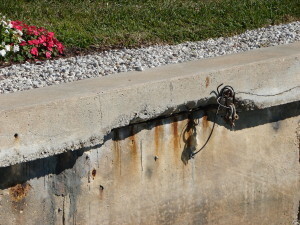 Concrete seawall are individually engineered and installed to fit the conditions of each property. 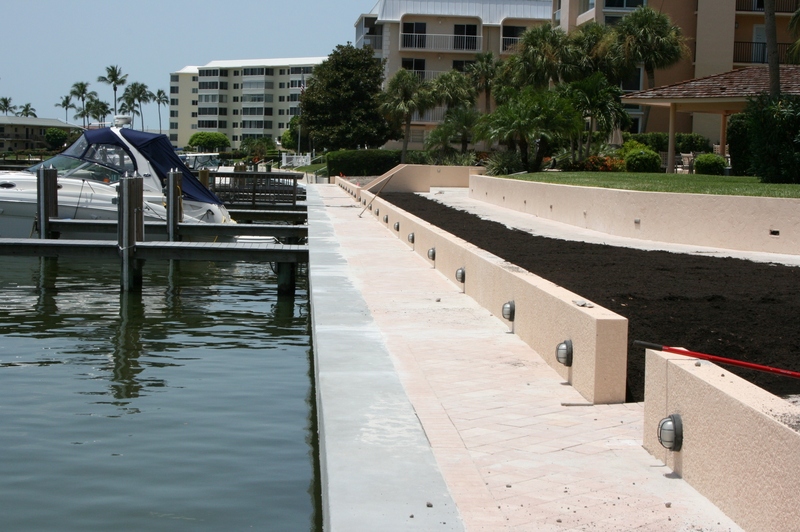 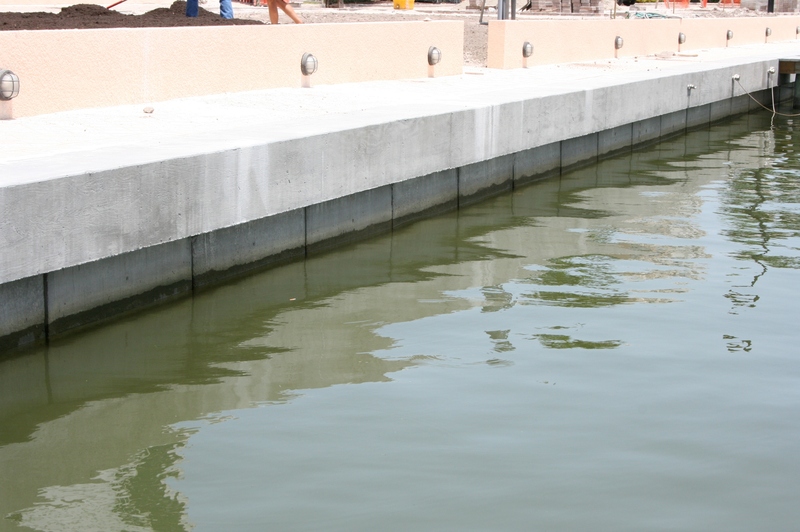 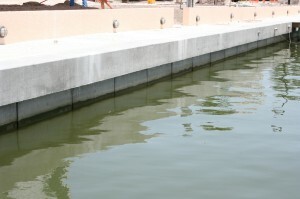 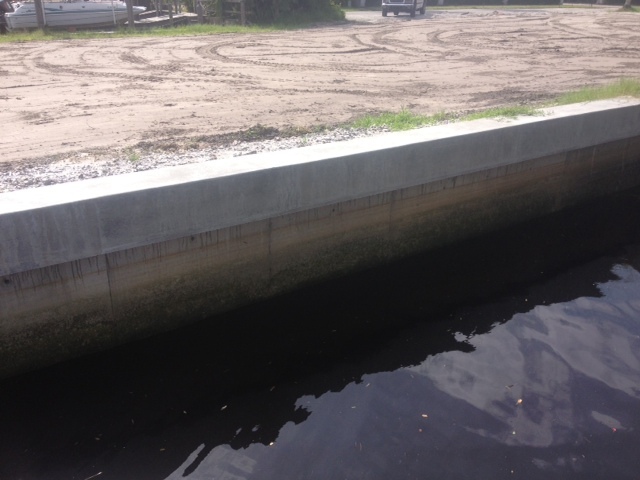 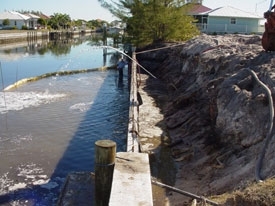 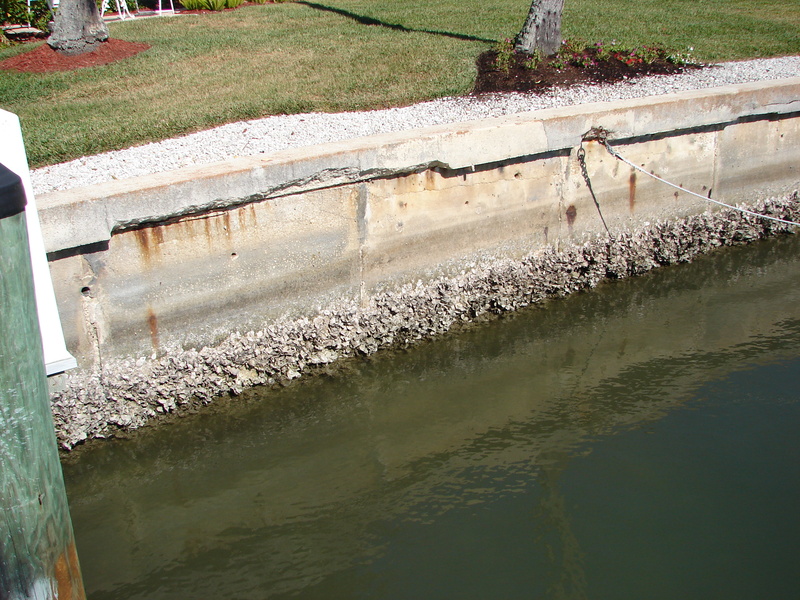 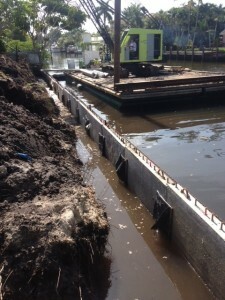 Concrete seawalls range in height from 10′ to 20’+ and in thickness from 6″ to 8″+. 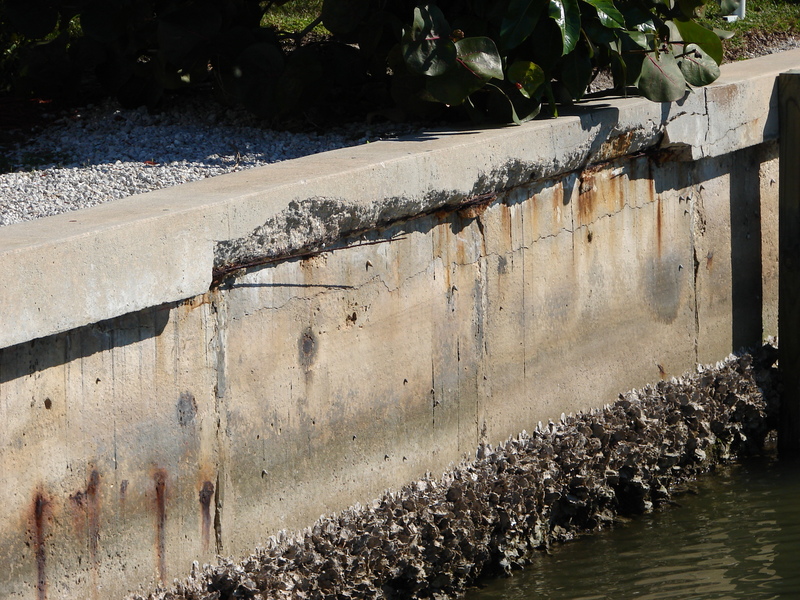 A new concrete seawall has a 40-50 year life expectancy. 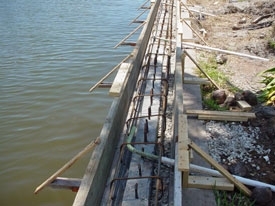 We begin by precasting concrete seawall slabs on site. 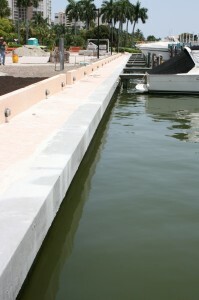 After these slabs have cured, we lift them with equipment and using high pressure water pumps, we install the panels. After the panels have been set, we form and pour a concrete seawall cap with tiebacks and deadmen. After the seawall cap has cured, we back fill the dirt behind the completed seawall. The construction duration of a seawall is 6-10 weeks with curing time depending on the total footage. 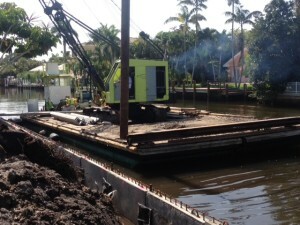 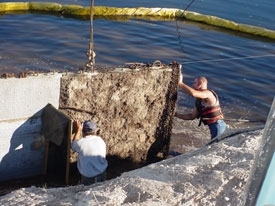 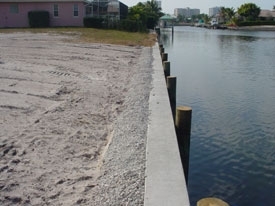 Garland & Garland is equipped to install seawalls both from land side on a vacant property or by barge if there is a home on the property. 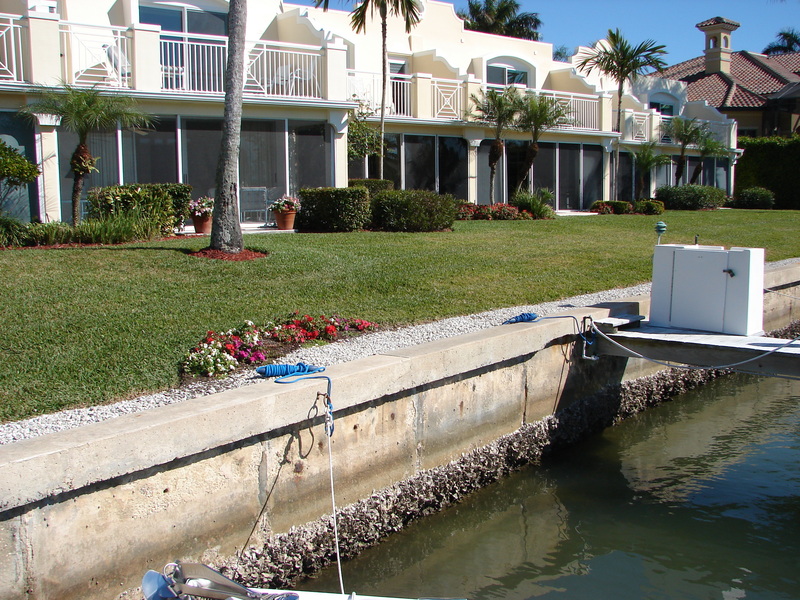 The most cost effective time to replace a seawall is while the property is vacant, prior to the new construction of a home.